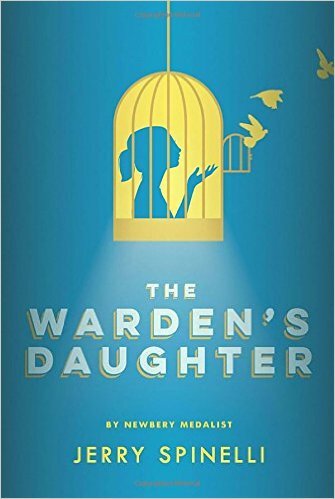 As the title tells you, Cammie is the daughter of the warden of Hancock County Prison sometime in the late 1950's. Cammie's mother died while saving Cammie's life as an infant and now she is feeling the need to have a mother around. Cammie feels like Eloda, the prison trustee who does the housework for them, might be a good replacement mother and she sets about trying to make Eloda act more maternally. There are other things happening in this book but most of them just never develop into anything other than anecdotes that I believe are supposed to round out the story in some way. A friend who has just begun the book was excited by the introduction of the child killer arriving at the prison and said she can't wait to see how that plays out. The answer is: it doesn't. He arrives, people are angry, you don't hear much more about that other than how Cammie's dad sets up solitary for him and how her friend is fascinated by him. That's the case with several of these storylines and a big problem with the book which is actually entirely about Cammie's anger over not having a mother. White hot anger is not enough to sustain a story for 300 pages nor does it make for an especially sympathetic character who displaces all over everything and everyone. The next issue is the writing style and the setting. The writing is fine, but boring. It has the feel of an author who is trying to be deep with some fragments or edgy descriptions but that type of writing doesn't grab me and it definitely won't grab middle schoolers. Nor will the historical fiction setting. Teens don't like historical fiction unless there is an amazing story that just happens to take place in the past or unless the historical time period is the Holocaust. Furthermore, they don't care to learn about the past so all the references to Bandstand are meaningless. And yet even though the book is historical fiction, there is no mention of issues of race which surely would've been an issue with either Andrew's family or with BooBoo. Finally - the ending!! There are two HUGE, problematic endings to the book. The first ending is where Cammie, narrating as an adult, suddenly summarizes her life from age 13 until her early 20's. We've been stuck in a few weeks of time throughout the entire book but now we learn in a few paragraphs what happened to her for the subsequent seven or so years. Fast forward at supersonic speed! Ugh. All of which serves as a device for the next lazy plot device of the diary that reveals all sorts of secrets. Through Eloda's diary we finally get to hear her voice which is supposed to explain why she basically had no personality throughout the rest of the book and why her abandonment of Cammie was actually a good thing. And the other big reveal in the diary? I'm not buying it at all. This is definitely one of those books that out of touch adults will think is great for teens but that teens will avoid like the plague until it finally gets weeded from the library shelves.